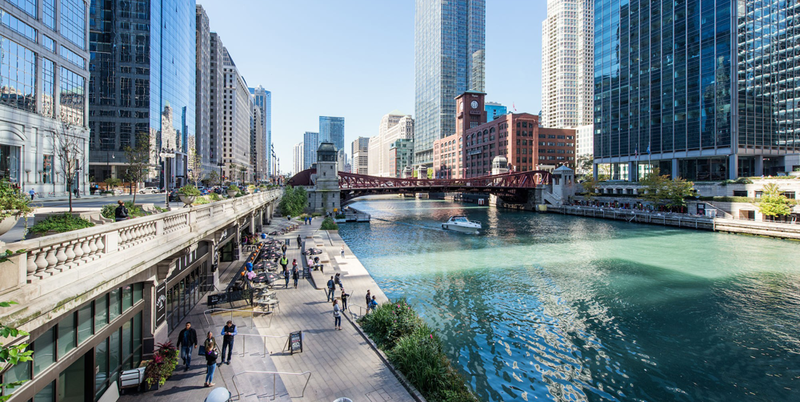 If you’re planning a trip to Chicago, especially during the summer when the weather is beautiful and people are out and about, you’ll want to make sure you have the best recommendations on sights and activities as possible. While you may not be able to hit all the spots in one shot, don’t fear—you can always book another trip to experience it all. Millennium Park is an awesome space—there’s live entertainment in the summer, including dance, musical performances, and outdoor festivals—and it’s a great spot to go for a leisurely walk, grab some lunch, or sit back with a good book and enjoy the beautiful weather. Be sure to check the calendar for events in the summer. There’s always something exciting going on! Garrett’s popcorn? Deep dish pizza? A hot dog (with no ketchup, of course)? Be sure to try all the best foods that Chicago is known for during your visit. You can find deep dish around Chicago, but you can’t go wrong with Lou Malnati’s or Giordanos, and you can grab a dog at Portillo’s. Garrett’s has its own shop, but you can also purchase in the airport, if you’re vising by way of plane. Be sure to ask your concierge at the hotel for recommendations—they know best! They’ll know what’s in the area, as well as attractions that are worth your time. A few include The Art Institute for Chicago, Navy Pier, The Lincoln Park Zoo, the Riverwalk, and shopping along the Magnificent Mile. The easiest way to explore Chicago is through a tour, one that provides architectural views and educational purposes, so you can really learn the history of Chicago. The boat cruises along the Riverwalk are fantastic, especially during the warmer seasons. Or, you can try a walking tour to become more familiar with a certain neighborhood in Chicago. There are several tours to choose from, all offering different services, but just as much fun.